Car parking for clients is available behind the Solicitors offices, accessed by driving through the Quarry Street Public Car Park. This car park is not suitable for those seeking wheel chair access – see ‘Access’ section. A detailed map showing this is on the access page. 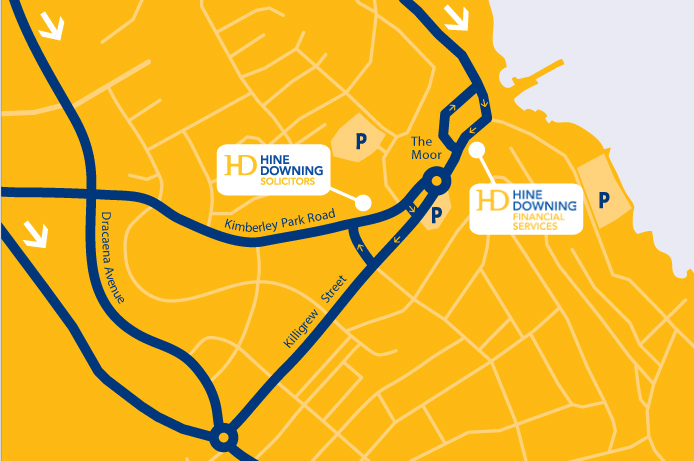 Hine Downing Financial Services is a practice which aims to protect, maintain or improve our clients’ financial wellbeing in an ever-changing world.